Gabriel Aluisy, of Private Club Radio Show, speaks with Brian Friederichs, CEO of Capstone Hospitality. In this episode, you’ll find out what Brian saw at clubs while playing on tour as a professional golfer. They’ll discuss why clubs struggle to get new members, and Brian’s unique solution. 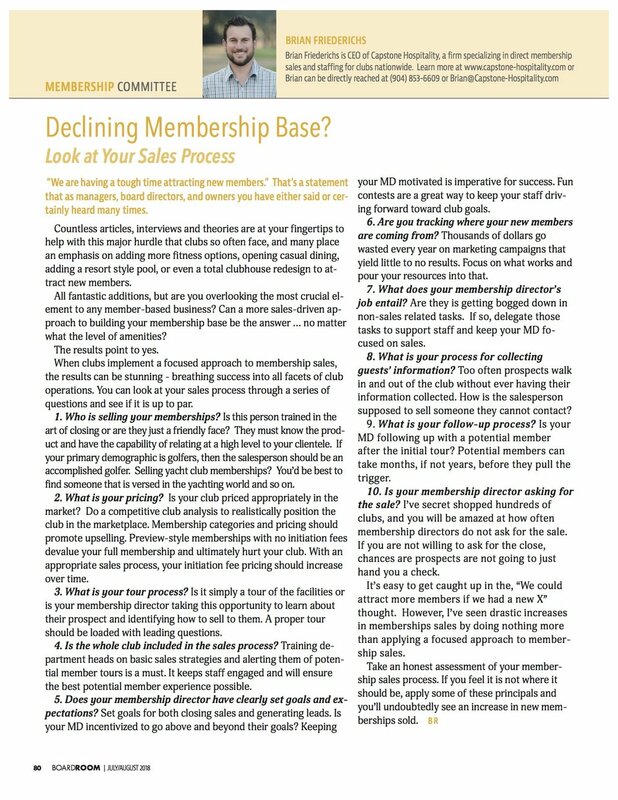 In addition, Brian shares one thing clubs can do immediately to increase membership sales.